Yes, you will receive two printed books. Your package should arrive within 3 days if you are in the US. The rest, such as the Quick Start coaching videos and the marketing materials are available instantly online. Yes, some of the information such as the Quick Start videos and the marketing materials are available to you instantly online. The course books will be shipped to you Priority Mail in the US, and Expedited Shipping internationally. Yes, most of the program will work even if you are a new agent. It does require more work and effort since you are competing with other experienced agents. But with practice, the right tools, and persistence you can list expireds. Remember, EVERY successful agent was once a rookie. You will get the Expired PLUS course book. This is a set of step-by-step instructions, dialogs, techniques and tips to help you get up and running. You will also get the Dreams To Reality book to help you stay disciplined, focused and determined, because success is first and foremost a mind game. 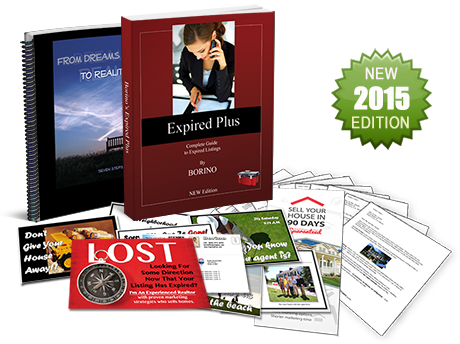 The system also comes with the Expired PLUS marketing library. It contains all the letters, marketing materials, brochures and resumes to mail or deliver to the expireds. You'll get instant online access to course videos where Borino will walk you through the entire system. 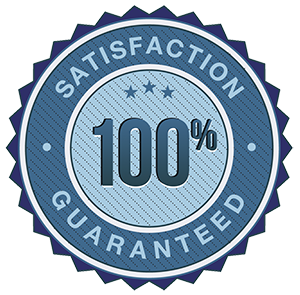 And as a special bonus, you will have a free 30-minute consultation personally with Borino to answer your questions and help you get up and running quickly. 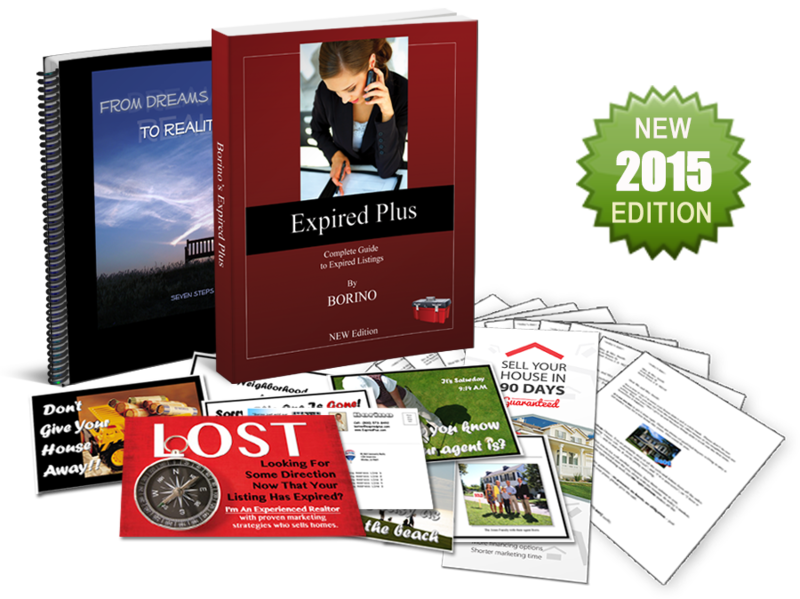 Yes, the Expired PLUS comes with dozens of powerful scripts, dialogs and real life examples. However, these are not based on the traditional aggressive selling, but advanced psychology, NLP (neuro linguistic programming), and hypnotic language patterns. The dialogs have a conversational, friendly tone where no pressure or "closing" is required because the core element is genuine connection and trust with the prospect. No, it does not include a CMS. But as our customer, you will get a free 90-day trial to an easy-to-use powerful system Realty Juggler that fully integrates with the Expired PLUS. You get 8 letters written specifically for expired listings. You will chat on the phone (the call is recorded for you) and go over your business. Borino will take a quick snapshot of where you are, and help you map out a strategy to get you where you want to be quickly. You're free to ask questions about the system, and get help with any details. There is no 'hard close' or 'upsell to other programs' during your call. Listing University is an ongoing private coaching program with Borino. It includes advanced lead generation systems, marketing strategies, and the latest tools. It also has interviews with top agents who share and show you what works for them in their business right now. We add new videos, clinics, jumpstart coaching and new materials weekly. You get your first 30 days free to try it out - your subscription is included in your purchase as thank you for being a client. If you like it, it's only $47 per month. If not, simply click "cancel" inside the University, or just call or email us and your membership will be cancelled immediately. Yes, it will work as long as you're allowed to contact expired listings. Some Canadian provinces have privacy laws or restrictions that prevent agents from contacting expireds. Please check with your broker or other reliable authority before ordering. Yes, the course includes 21 sources of sellers' phone numbers. These include both free, and paid services. No, the Expired PLUS focuses on generating leads and appointments. If you're interested in a powerful listing presentation system, check out Borino's Presentation PLUS. Yes, most of the materials are in Word, so you can print it yourself. The older version of the postcards are in Word, the new ones are done professionally by our affiliate. You have a choice to do it yourself, or if you want more polished materials, you can have a professional printing company design and print them for you.